Robert Farrington is a paid influencer for Citizens Bank, N.A. All opinions and/or advice are his own. College is about to start around the country but for one reason or another, you haven’t filed for financial aid and are in desperate need of student loans to pay for college. You might be panicking inside trying to figure out what to do, but there are options that can help. All is not lost. Your options for funding sources will be limited, but there are definitely things you can do to pay for college with a month to spare. Let’s talk about how to get student loans at the last minute to pay for college if you’re in a crunch to make a deadline. The first step is to inform your financial aid office that you don’t have funds to pay for school but you are enrolled. Because you’re enrolled, the school will have a slot for you in its roster and will do its best to help find financial aid. Grants and scholarships are likely long gone, but you should still be able to get student loans. Speaking with the financial aid office can also ensure you follow all the necessary steps in the right order and avoid creating unnecessary delays. The FAFSA is the Free Application for Federal Student Aid that every student fills out to receive government financial aid in the form of grants, scholarships, loans and work studies. If you haven’t already filled this out, your financial counselor will likely ask that you complete it as one of the first steps to receiving student loans. Next year, fill this out as early as possible to maximize your award potential. However, you can still get Federal student loans even if you fill applications for federal aid late. When you speak to your school’s financial aid office, ask about emergency loans. Many schools offer these to help students in need. As outlined by the NASPA.org, emergency loans, “address hardship related to the timing of a student’s financial aid disbursement”. NASPA further clarifies this definition, “emergency aid includes one-time grants, loans, and completion scholarships of less than $1,500 provided to students facing unexpected financial crisis, as well as food pantries, housing assistance, and transportation assistance.” While it may not seem like much, an emergency loan can help pay for immediate school cost. Of the 2-year and 4-year institutions offering emergency loan programs, 64% of them successfully delivered aid. Many educational institutions offer an emergency loan program. In fact, 84% of public 4‐year schools have an emergency loan program. Don’t give up on scholarships. It’s still possible there are some out there that you can qualify for. Some scholarships will be available because applicants did not claim them. So never look past this option. Because time is critical, apply for scholarships that don’t require you to write an essay. You can use a site like Niche to search for scholarships. Filter for “Easy To Apply” then “No Essay Required”. Note: There are many scholarship opportunities year round that can help you pay for college next semester or next year. Always be applying throughout college so that you can maximize your award potential. Private loans are still a good option when it comes to paying for college when many of the other options listed have been exhausted. It’s important to know that they don’t carry some of the benefits that government student loans carry, but they can come through in a pinch to help you pay for college. Citizens Bank, for example, makes it easy to apply for private student loans online. You can apply here: https://www.citizensbank.com/student-lending/student-loans.aspx. Also, they typically see an average loan turnaround time from application to funding of 21 days to assist with your time crunch. It also means staying on top of your cosigner to make sure they fill out all the paperwork immediately as well. Make it a goal to get it all done on day one, so that Citizens can process your loan as fast as possible. 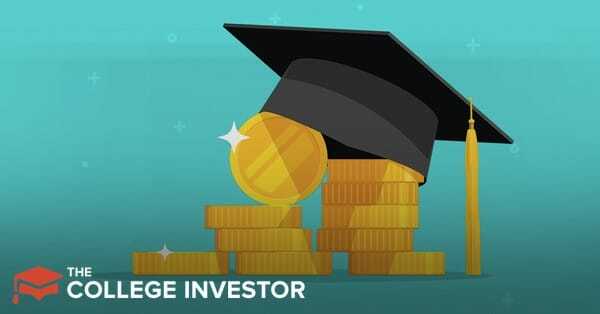 Remember, unlike government student loans, private loans are based on your credit score and other credit parameters like your debt-to-income ratio, among others. This means it can be more difficult to get approved for such loans without a cosigner. Also, remember that private student loans don’t have forgiveness programs like you would find with Federal student loans. While not a loan, if you’ve gone through the above options and are still in need of money for college, an on-campus work-study program can be a great way to go. Work study programs will work around your school schedule. They don’t pay much but depending on your schedule; they may be your only source of income while in school. Another benefit of these programs is that many will allow you to do some studying while on the clock. Don’t discount a regular part-time job if the employer is willing to work around your schedule. There’s a good chance it will pay more than a work-study. Although studying on the job likely won’t be an option. No matter how hard you try, sometimes things just don’t work out. This might be the case with trying to find funding for school at the last minute. 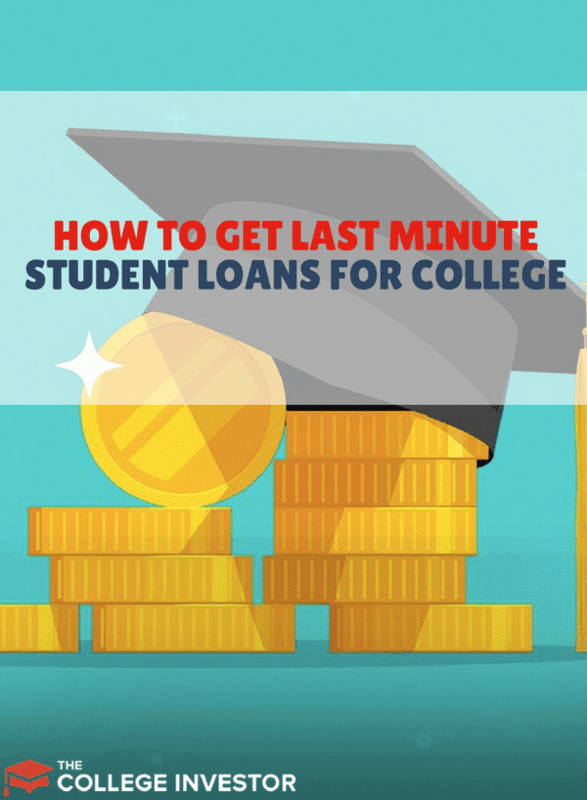 If the school is unable to provide you with loans in a timely manner and all of the other options mentioned above lead to dead ends, the best thing to do might just be to put school off for a little while. We’re not talking about years. Maybe a year at the most. This way, you can file for a FAFSA, have plenty of time to find scholarships and even work a little while you save up some money. It might just be the best option. If you do decide to delay school for a little while, consider moving in with your parents. It’ll almost be like having another job, given how much you’ll save. You might be surprised by how much you can save up in just a few months. Plus, many colleges will allow you to defer enrollment for a semester or two if you speak to them about it. Getting a student loan at the last minute to pay for college can be tough. But there are options, especially with private loans through lenders like Citizens Bank. If you still can’t make that work, look at scholarships, grants, working, and even putting off school for a semester so that you can get all your financing lined up before you attend. That way you can focus on school while you’re there, and not have to worry.